The Port of New Orleans (Port NOLA), a multi-billion-dollar multimodal gateway for international trade and a bustling embarkation port for cruise passengers, creates and supports more than 119,500 jobs and $29.8 billion of economic output nationwide, according to a study conducted by the LSU Economics & Policy Research Group and JLL Ports, Airports and Global Infrastructure. The report determined Port NOLA-based activity, including tenant and cruise activity, directly creates 8,880 jobs, including $609 million in income, $1 billion in value-added services, and $2.3 billion of economic output. Within Port NOLA’s three-Parish jurisdiction, which includes Orleans, Jefferson, and St. Bernard, Port NOLA activity generates 19,050 jobs and $3.9 billion of economic output annually. Statewide, those numbers increase to 21,700 jobs and $4.3 billion in economic output. Each of Port NOLA’s four lines of business – cargo, rail, industrial real estate and cruise – drives these economic opportunities. Nationally, Port NOLA’s impact grows substantially, as Port activity serves as a gateway to global markets for a large swath of the nation’s interior. For example, raw materials arriving through the Port are used for appliances, tires, along with other manufactured products, and connects farmers in America with international customers. Port NOLA set new high marks in 2018 in several areas. A total of 591,253 twenty-foot-equivalent units (TEUs) moved through the Napoleon Avenue Container Terminal, up 12.3 percent compared to the previous year. 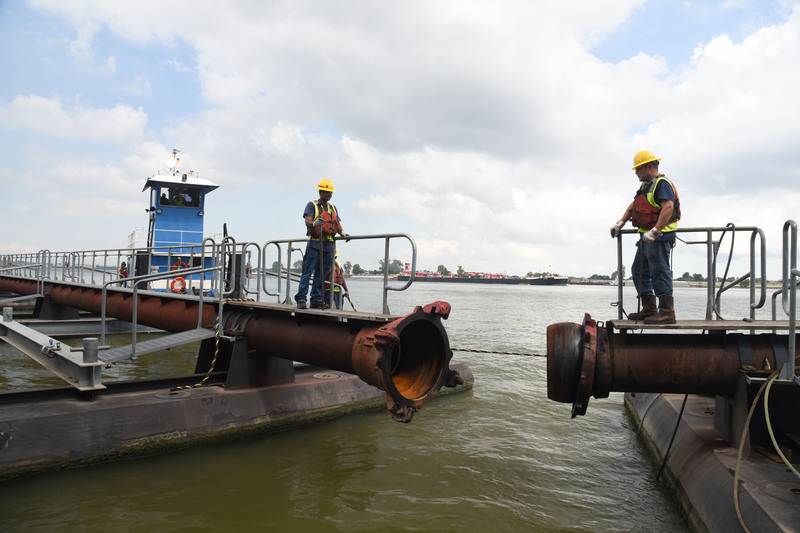 Those numbers included a 58 percent surge in containers moved by barge on the Port’s growing container-on-barge service operated in conjunction with the Port of Greater Baton Rouge. The New Orleans Public Belt Railroad, which the Port acquired in 2018, realized a 15 percent growth in intermodal cargo and new connections with domestic markets. One segment continuing to grow is the Port’s cruise business – both oceangoing and riverine. In 2018, Port NOLA recorded 1,182,111 cruise passenger movements, a new annual high. While overall numbers were up 2.3 percent, guests traveling on cruises on the Mississippi River grew by 23 percent compared to the previous year. Those guests and ship crew members spend an estimated $129.1 million in the regional economy, while the cruise lines spend another $125.2 million, according to the report. This activity is new money injected into the economy, as 90 percent of cruise passengers are from out of state and 73 percent spend multiple days in Louisiana either before or after their cruise. Christian said Port NOLA’s growth is fueled by people – governance by Port NOLA Commissioners and NOPB Directors, Port and NOPB staff, tenants, stakeholders, economic development agencies, community partners and leaders at all levels of local, state and federal government. Michael Hecht, president and CEO of Greater New Orleans Inc., a regional economic development alliance serving 10 parishes (counties) in southeast Louisiana, praised Port NOLA’s momentum and role it has played in the region’s growth.